If you recently built a custom home in New Jersey, one of your goals will include keeping your new house looking its best. For each season, create checklists to organize home maintenance tasks. Inspecting and completing seasonal home improvement tasks prevents future repairs and will keep your New Jersey custom home in top shape. Home maintenance is crucial in New Jersey as a way to protect the interior and exterior from damage sustained from unpredictable weather patterns. In recent years, New Jersey has experienced some of the highest annual precipitation amounts on record. Central New Jersey homes in particular experience moisture problems due to damp soil around the foundation. When the moisture levels aren’t controlled, your home is at risk for structural damage and mold growth. Custom home maintenance is a year-round concern. Each season poses a different threat. For instance, during the winter months, pipes can freeze due to subzero temperatures. In the spring, pests return from hibernation and can wreck havoc on your home and garden. 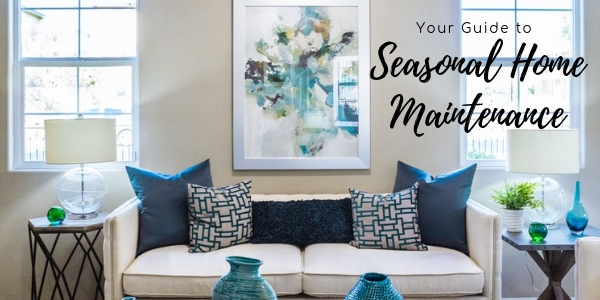 The following tips can help you easily separate each home maintenance task by season. 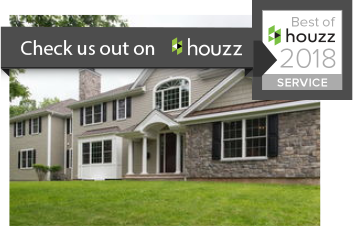 Seasonal home maintenance checklists make it easy to track what needs to be done to maintain your New Jersey custom home throughout the year. Central New Jersey weather is at its worst during the winter months. Snow, rain and ice along with freezing temperatures can take its toll on your new home. Before the start of winter, get your home ready by completing these crucial steps. Hoses: All outdoor garden hoses must be disconnected before winter starts. Hose bibs also need to be shut off via valves located in your basement. This chore prevents pipes from freezing and damage sustained by potential leaks. New custom homes now include self-draining hose bibs as a way to prevent freezing issues during the winter months. Inspection of Plumbing and Electrical Systems: Homeowners should take the time to inspect the different areas where piping and electrical wiring exit the house. Air conditioning units, sump pump drains, and electrical meters are vulnerable areas where pests can make their ways inside the house. Sealing takes place during new home construction, but materials naturally expand and contract during weather changes. Additional caulking to seal off openings will easily resolve this issue. Leaf Cleanup: Although you may have removed leaves at the start of the fall, before winter arrives, take another look around the exterior of your home. Dispose of leaf piles and clear away any debris that could’ve collected around the foundation. These maintenance tasks reduce the chance of water entering your basement and stops pests from making their nests inside the leaf and wood piles. Sump Pumps: In New Jersey homes, a proper working sump pump is an absolute must. Snow, ice and rain will cause water to saturate the ground around your home’s foundation. Sump pumps need to be working properly with drains cleared to divert the water away from the home. After the seemingly endless New Jersey winter, spring will arrive and require a new round of home maintenance tasks. Spring is also a good time to inspect the electrical and plumbing systems in the home to ensure no damage has occurred over the winter months. Gutters: Spring requires you to have both your gutters and downspouts cleared. Ideally, you should check gutters monthly to confirm there aren’t any blockages. While a professional technician cleans your gutters, he or she can also inspect roof vents for blockages or leaks. Dryers: Call in the professionals for an inspection and cleaning of your dryer vents. Newer custom homes in NJ now include a trap for lint. Lint buildup is associated with an increased fire risk. Chimney: Professional chimney sweeps prevent chimney fires and can be scheduled at the end of the winter season. Lawn Care: The spring is the best time to aerate your lawn. Aerating your lawn removes small cores of soil to promote healthy root growth and prevent soil from compacting. Although the mild New Jersey summers make it difficult to keep your mind on home maintenance, you do have a few jobs to tackle before you vacation. Perform home maintenance chores before the temperatures soar to get the tasks out of the way early. Refrigerators: Refrigerators and freezers should be pulled out and cleaned. Vacuuming behind the units prevent dust and debris from building up on coils and causing operational issues. Furnace: Most filters require monthly changing—especially if you run your HVAC systems year-round. The number of family members, pets and carpeting also impacts how often filters must be switched out. A new filter keeps the system running efficiently. Siding: Inspect siding for damage and signs of mold or mildew. Most homeowners schedule the siding to be power washed over the summer. Pests: Inspect the indoors and outdoors for any signs of pests. Pest treatments can also be scheduled during the summer months. Trim back any landscaping that could be touching the home since this allows for pests to easily travel into your residence. Vacuum System: Take the time to clean and inspect your built-in vacuum system. Use central vacuum cleaning cloths to remove dust and debris from the system. The wipes help keep the vacuum clean and odor free. As the weather cools, colder weather preparation starts. Performing maintenance on your New Jersey home now prevents you from being one of the many who are putting in service calls when winter finally rolls around. Lawn Care: Any type of lawn issues should be addressed after temperatures have cooled, but before the first frost. Over seed and use topsoil to address any patchy areas of your lawn. Appliances: Make it a point to remove any debris from your dishwasher trap on a monthly basis. Full traps will impact the efficiency of the appliance. Your oven’s exhaust hood has filters that require cleaning. Many of these filters can be placed in the dishwasher. Follow all manufacturer’s instructions for safe cleaning. Detectors: Smoke and carbon monoxide detectors rely on batteries in the case of power failure. Each spring and fall, typically during daylight savings time, switch out those batteries. Fire extinguishers located in the kitchen and garage can also be inspected at this time. Basement Valves: Close and open the gas and water valves located in the basement. This helps extend their lifetimes and confirm operability. Homeowners who follow these maintenance tips will save time and money by preventing costly repair service calls down the road. Seasonal upkeep will keep your New Jersey home healthy and beautiful year-round.